Bioré’s New UV Watery Essence! Okay, I’ve got to admit, I’ve always been a skeptic when it comes to sunblock, so when I was given the opportunity to review Bioré’s New UV Watery Essence, I was like… “Okay let’s see if this changes anything.” And surprise surprise, it did! In the past, when you think of sun block, you think of this milky white lotion that you have to slather on to protect yourself from evil sun rays. Hardly makeup friendly, so why would we want to use it just because we should? Right? Well, times have changed and in relation to sun block, things have evolved quite a bit. 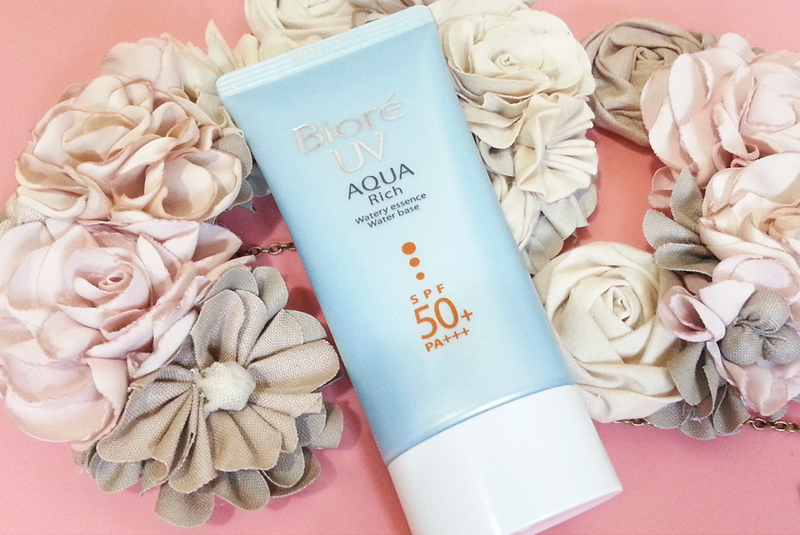 Bioré’s New UV Watery Essence boasts a superior long lasting double UV block, and yet is so light that you won’t even remember you are wearing sun screen! A sun block that doesn’t just offer a high SPF, but also deeply hydrates and softens your skin? Too good to be true? That’s what I thought too, but in this case, trying was indeed believing! Almost immediately upon application, the lotion turns into a watery consistency. 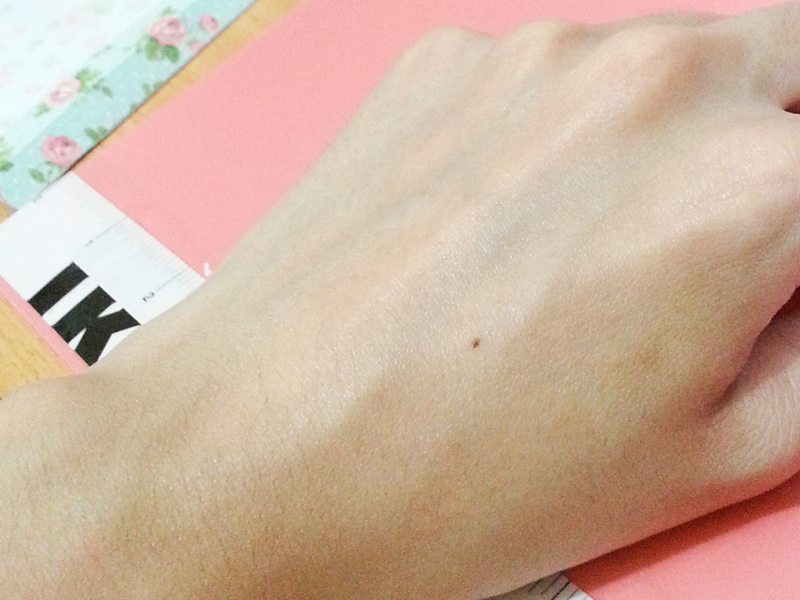 Those tiny little white granules “burst” and release an abundance of hydration! 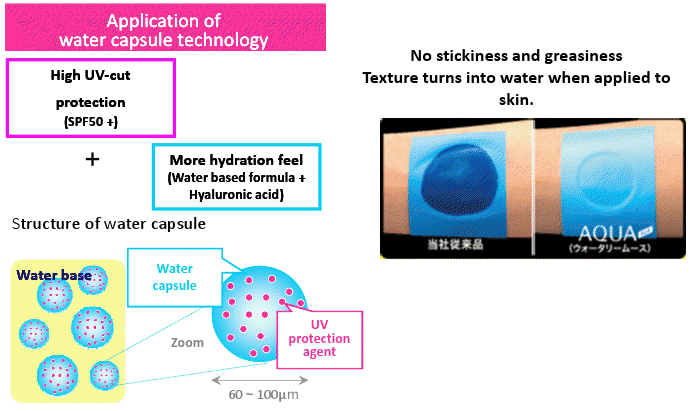 This is possible with water capsule technology. The essence also contains hyaluronic acid and citrus extracts. Hyaluronic acid shouldn’t be new to anyone, it’s widely used in many skin care products and is much loved for it’s deep hydrating properties, but did you know that lemons are a natural “bleach”? The citrus extracts not only add a fresh scent that gives you a cool, refreshing perk-me-up upon application, I find that it also helps to brighten skin! Would you have guessed I have sun screen on? There is no white cast whatsoever, and within 30 seconds, the essence is fully absorbed by the skin, ready for make up! If you have very oily skin, you might consider skipping your moisturizer since the essence contains hyaluronic acid. 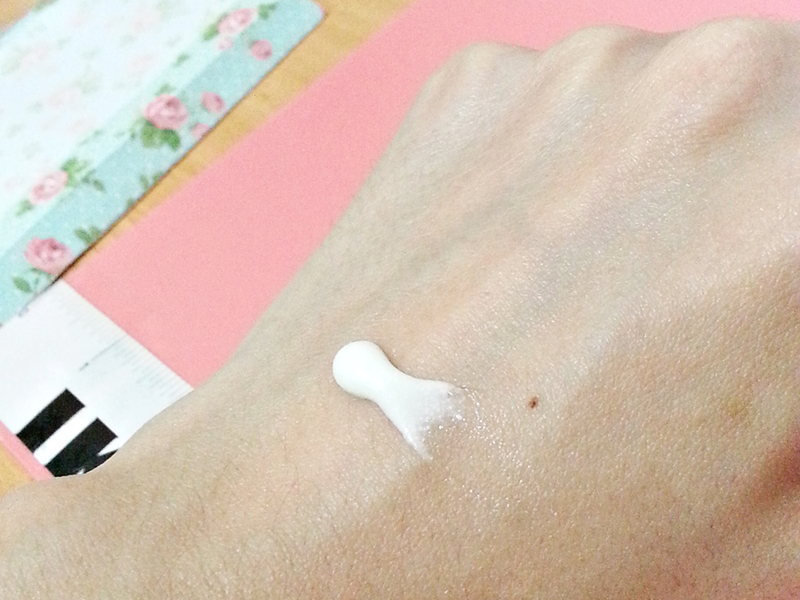 I have combination skin and I still use my moisturiser after applying the essence. Try and see what works best for you, don’t forget that oily skin still needs to be moisturised, so try to figure out what works best for your skin. Bioré’s New UV Watery Essence comes in a 50ml tube priced at $18.90, and is available at selected supermarkets, hypermarkets and pharmacies. ← So light, it floats! Magic Babe Ning in amazing levitation act!